Here are a few fun winter things you can do with your children. 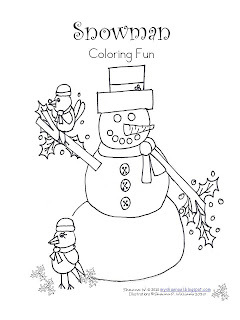 The first free download is a Snowman Coloring Page. CLICK HERE for the coloring page. The second item I have for you is a Simple Snowman Puzzle. Simply have your child cut on the lines, and then try putting the snowman back together. If they are too young you can cut the puzzle out for them. 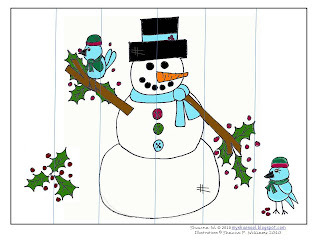 CLICK HERE for the Snowman Puzzle. You can laminate the puzzle or cover it with clear contact paper for durability. 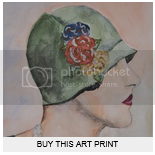 You could also print the puzzle out onto cardstock or other heavy weight paper to make it easier to put back together.